Today’s cupboards have unique technologies in terms of style, craftsmanship, life span, and color, which have attracted the attention of many consumers. However, we often see related reports: excessive formaldehyde emission has become the main reason for the overall cabinet product failure. So why do cabinets cause indoor pollution? Currently, the cupboards sold in the market are mainly plate-type cabinets. 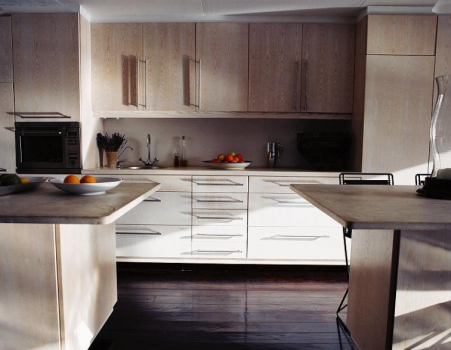 The main materials required for making plate-type cupboards are density plates and particle board. We can collectively refer to these types of plates as artificial plates. Artificial board is made of natural wood and the corner wastes in its processing. After being pressed and bonded, the board is made of formaldehyde. Therefore, formaldehyde is easily contained in the artificial board due to the formaldehyde contained in the adhesive. Cupboards made of artificial boards may cause pollution to the indoor. There are two common types of raw materials for the kitchen countertops: the first is natural marble countertops, which have high hardness, wear resistance and durability, but the price is relatively expensive; the second is artificial stone countertops, artificial stone countertops, although the quality is not as good as marble countertops, but the price is cheap, can meet the needs of ordinary families. Therefore, many families will choose to buy cabinets with artificial countertops. However, artificial countertops are made of chemical raw materials and contain adhesive inside, which not only produces odors but also affects indoor air quality. In addition to the cupboard’s own material and countertops, it may cause environmental pollution. When the cabinets are installed, improper operation can also lead to environmental problems. 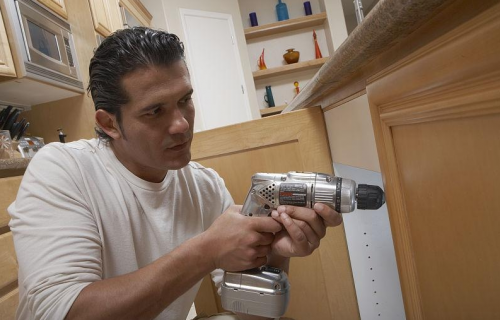 In general, the installation of cabinets requires on-site cutting and assembly. If the seal is not tightly sealed, harmful substances can easily evaporate from the gap. In addition, there are some unscrupulous companies to save costs, the use of inferior glue instead of green rubber, formaldehyde content of inferior glue is excessive, easily cause indoor pollution. Therefore, a good performance of air purifier would be your best choice. A high performance air purifier could remove formaldehyde and the TVOC. With OLANSI air purifier can efficiently remove pollen, dust, bacterial and some harmful airborne chemicals from carpeting, flooring and cupboards. Does Home Air Purifiers Really Work?